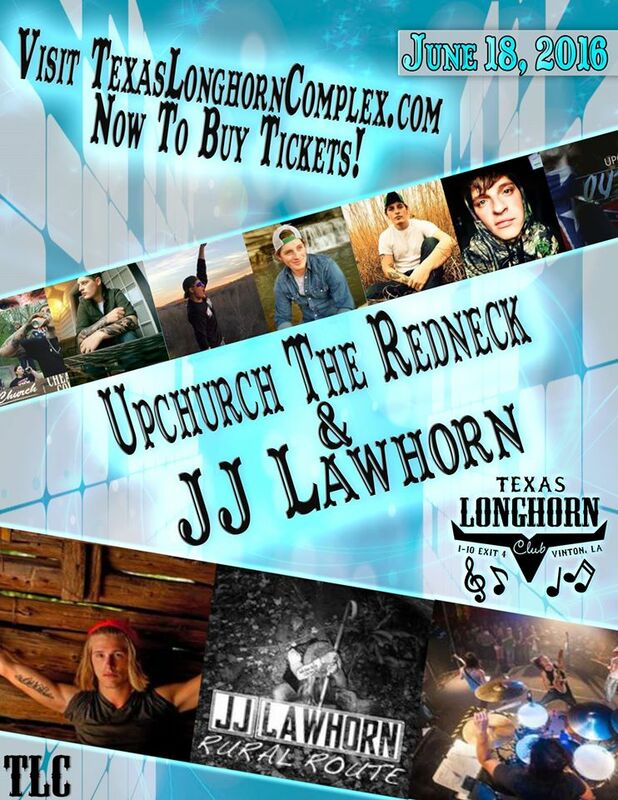 Upchurch the Redneck and JJ Lawhorn coming to the Texas Longhorn Club! !! !Breaking news!!! 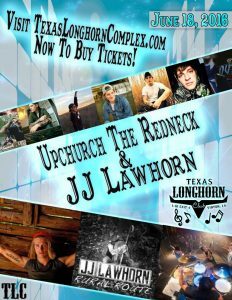 The one and only Upchurch the Redneck and JJ Lawhorn are coming to TLC June 18th.